Join us for fabulous excursion throughout the Hudson Valley wine country for exclusive tours, tastings, snacks, a buffet lunch, dessert, and goodie bags! 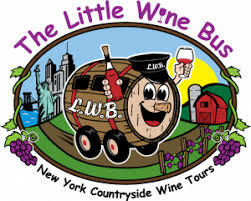 The Little Wine Bus will depart from HGAR’s West Nyack and Goshen offices. First stop - the historic Newburgh Brewing Company, the Hudson Valley’s newest brewery. Learn all about craft beers, take a tour and taste some samples! Then enjoy a delicious buffet lunch. Next stop - Nostrano Vineyards, the Valley’s newest winery in Marlboro. Enjoy the amazing views and taste their wines, including a new rose. Cheese, crackers and chocolates will be served. Final stop - Palaia Winery in Highland Mills. Once a dairy farm, the 200-year old barn is a beautiful winery. A dessert table will be included with your wine tastings. This event benefits RPAC, the Realtors Political Action Committee. Contributions are not deductible for income tax purposes. Contributions to RPAC are voluntary and are used for political purposes. You may contribute more or less than the suggested amount. You may refuse to contribute without reprisal and the National Association of REALTORS, the New York State Association of REALTORS or any of its local boards or associations will not favor or disfavor any member because of the amount contributed. 70% of each contribution is used by your state PAC to support state and local political candidates. Until your NYSAR PAC reaches its PAC goal, 30% is sent to National RPAC to support federal candidates and is charged against your limits under 2 U.S.C. 441a; after NYSAR PAC reaches its RPAC goal, it may elect to retain your entire contribution for use in supporting state and local candidates.